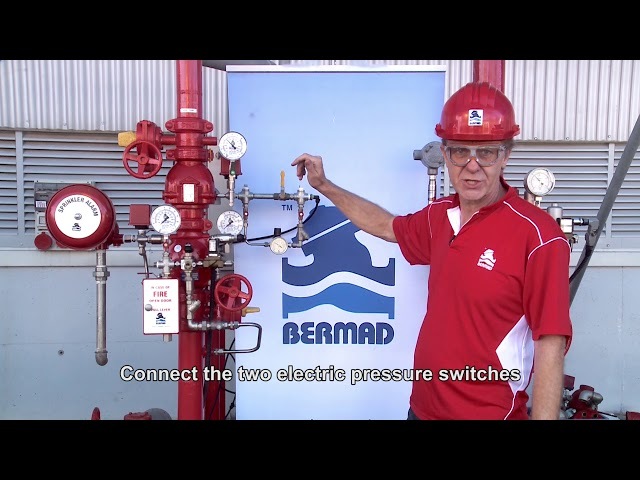 The BERMAD 400Y is designed for flow control in deluge, pressure control deluge, remote on-off, monitor remote control, pre-action systems, pressure reducin and pressure relief. 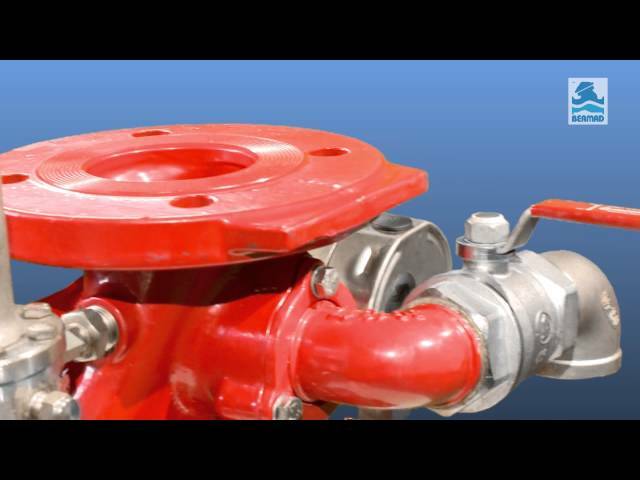 Certified and approved to the latest fire protection standards, it is excellent for all fluids used in fire protection systems, from fire-water supplies to foam solution, seawater, foam concentrate and other corrosive liquids. The BERMAD 400Y is designed for flow control in deluge, pressure control deluge, remote on-off, monitor remote control, pre-action systems, pressure reducing and pressure relief. Certified and approved to the latest fire protection standards, It is excellent for all fluids used in fire protection systems, from fire-water supplies to foam solution, Seawater, foam concentrate and other corrosive liquids. 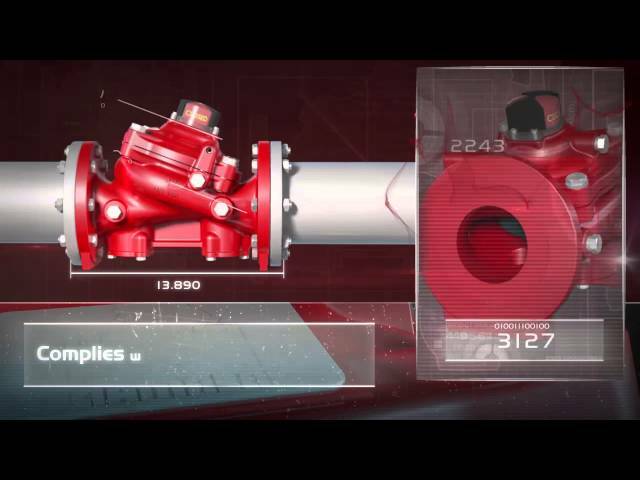 The BERMAD FP/FS-400Y Torrent valve is designed specifically for the fire protection industry, with an emphasis on rugged reliability a for 25 bar/365 psi with an industry-leading flow rate. It is equally suited to vertical or horizontal installation and is available in pipe diameter sizes from 1½” to 16” (DN40 to DN400). 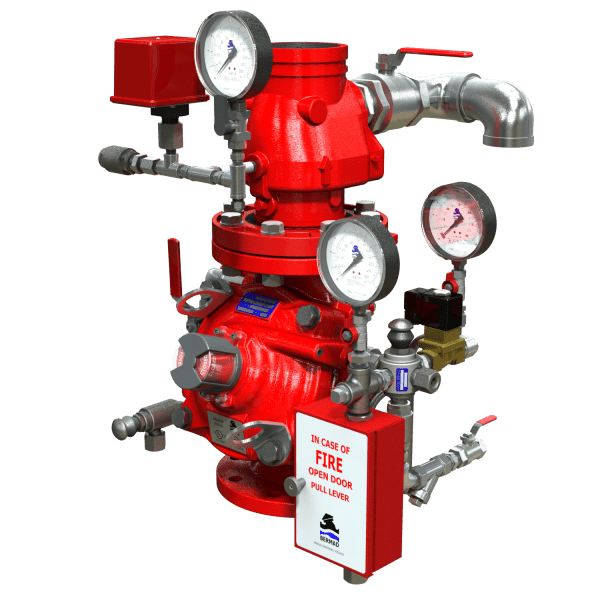 The BERMAD Model FP 400Y 7BM utilizes an elastomeric deluge valve, designed for advanced fire protection systems and the latest industry standards. The Double Interlock Pre-Action is suitable for use in systems requiring that water be kept out of the sprinkler piping until an electric detecting device and a sprinkler have both been activated. Electric-Electric double interlock systems include automatic sprinklers attached to a dry sprinkler piping system with a low air pressure switch, along with a supplementary electric detection system which are both wired to a Cross-Zone releasing control panel. 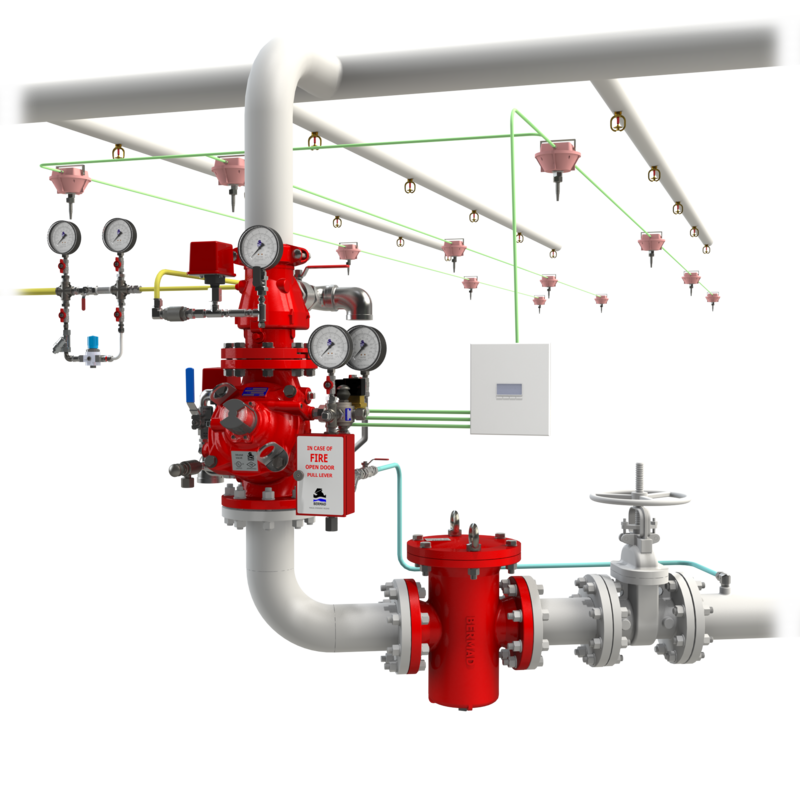 Model FP 400Y-7BM Pre-Action System admits water into the sprinkler piping only when both the detection device and the supervised systems simultaneously signal the control panel to trigger the solenoid valve. An anti-flooding feature is provided by using an in-line check valve, which creates an intermediate vented chamber using a Normally Open drip-check. 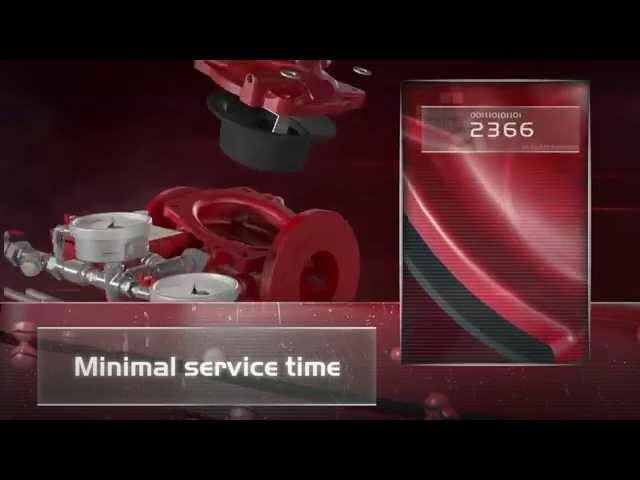 As an option the 400Y 7BM features a visual quarter turn valve position indicator, available with limit switches for remote valve position monitoring. A typical installation of the BERMAD model 400Y-7BM features automatic actuation via a solenoid valve and crosszone releasing control panel. Actuation occurs only when the control panel receives simultaneous electric signals from an electric fire-detection system and a low pressure sensing switch/relay valve. When fitted with a limit switch, the valve can send a feedback signal to the remote valve position monitoring system. An inline check valve and drip-check valve create an intermediate vented chamber to ensure against flooding when the valve is closed.